DA Haiti is now an official DA Country Committee! 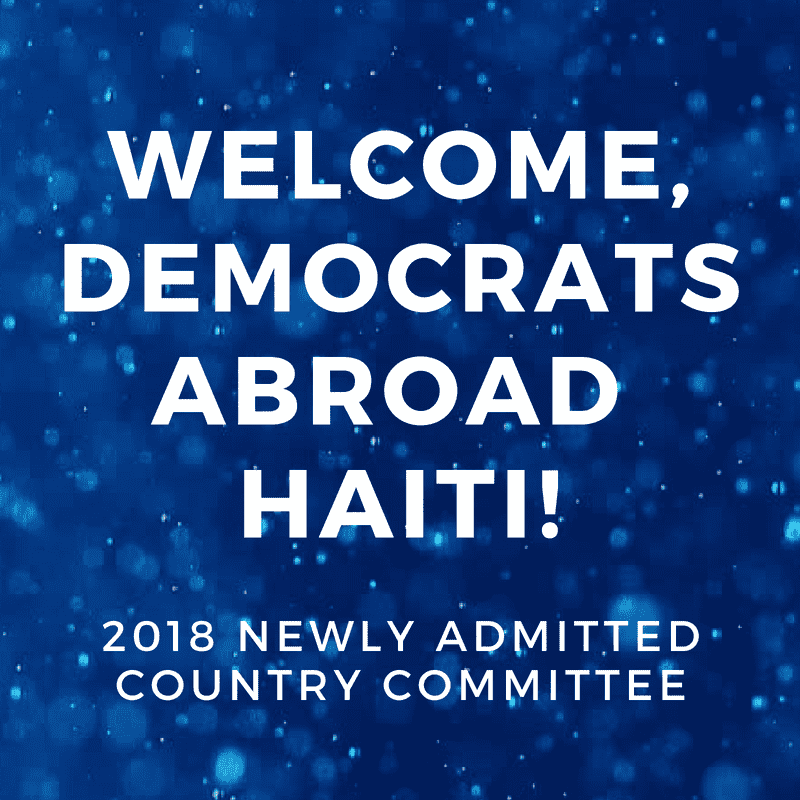 By unanimous vote on May 25th at the Democrats Abroad Global Meeting, DA Haiti was welcomed as a full voting member of Democrats Abroad. We look forward to being part of this progressive organization giving voice to Americans living abroad. 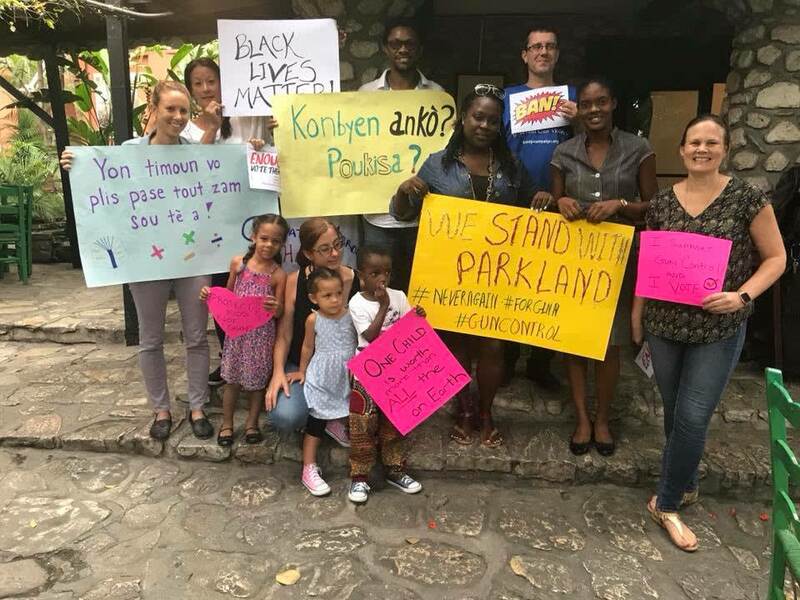 Here in Haiti we plan to grow our member community and get out the vote! Solidarity matters! On Saturday, March 24th DA Members and friends gathered for social media posts to support the student-led March for Our Lives Movement to demand the safety of our children and action from our representatives for gun control. We also watched a film, Making a Killing: Guns, Greed and the NRA, to raise our awareness on the issue. 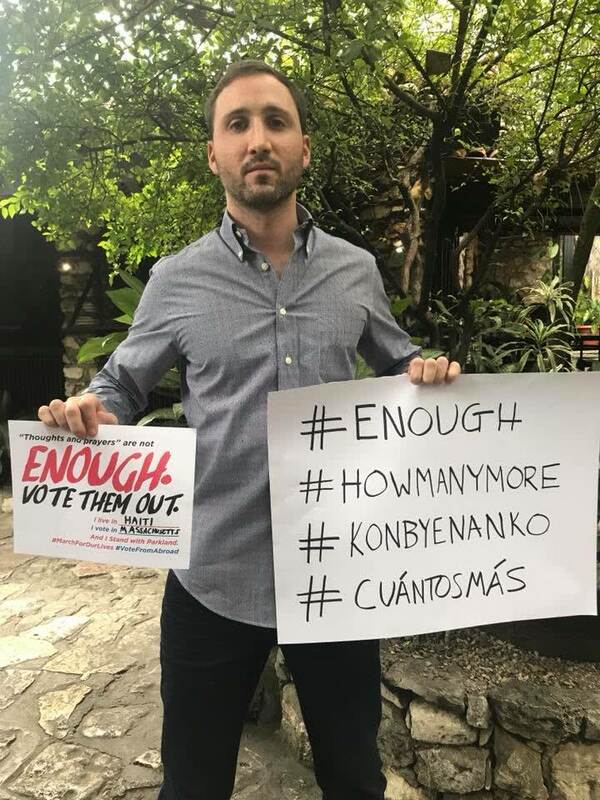 Please see some pictures below from the event plus coverage by Democrats Abroad and the New York Times.